Count on us for math riddles for kids and adults! Add to your brain cells and multiply your fun with funny, easy and hard math riddles and answers. Get ready to give your undivided attention, because you’ll need it to solve these fun math riddles. There are few things better for exercising your mind than riddles and math, and here we combine the two to give your brain a stellar workout. Test yourself, your friends, kids and family with these math brain teasers and you’ll not only be working your mind, but you’ll also have some fun! We have divided these into math riddles for kids (for those looking for more simple math riddles) and math riddles for adults (more challenging and difficult math riddles and more age appropriate). In this collection you’ll find all sorts of silly, tricky and funny math riddles for elementary, middle and high school students. While these are geared towards kids, these are by no means very easy and can be a challenge for most anyone. For even more, check out these riddles for kids. A grandfather, two fathers and two sons went to the movie theater together and everyone bought one movie ticket each. How many tickets did they buy in total? A cell phone and phone case cost $110 in total. The cell phone costs $100 more than the phone case. How much was the cell phone? A duck was given $9, a spider was given $36, a bee was given $27. Based off of this information, how much money would be given to a cat? If you buy a rooster for the purpose of laying eggs and you expect to get three eggs each day for breakfast, how many eggs will you have after three weeks? If the zookeeper had 100 pairs of animals in her zoo and if two pairs of babies are born for each and every one of the original animals, and then sadly 23 animal don’t survive, how many animals do you have left in total? Think you can solve these challenging logic riddles? Few can. A little boy goes shopping and purchases 12 tomatoes. On the way home, all but 9 get mushed and ruined. How many tomatoes are left in a good condition? If it took 6 people 9 hours to build a barn, how long would it take 12 people to build the same barn? None, the barn is already built! Eggs are $0.12 a dozen. How many eggs can you get for a dollar? Jeff has $28.75. He purchased three cookies that cost $1.50 each, five newspapers that each cost $0.50, five flowers for $1.25 each, and used the remainder of the cash on a pair of sunglasses. How much were the sunglasses? Maria went to the bread store to buy a loaf of bread for dinner. She had 2 quarters, 4 dimes, 3 nickels and 2 pennies. The total cost of the bread $0.82. She promised to make sure she had exactly 1 coin remaining after purchase. Which coins did she have left after buying the loaf of bread? In an alien land far away, half of 10 is 6. If the same proportion holds true, then what is 1/6th of 30 in this alien land? If you multiply this number by any other number, the answer will always be the same. What number is this? While the riddles above are by no means easy math riddles, they are less of a challenge that the hard math riddles with answers below. 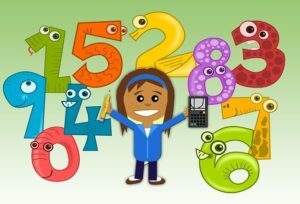 If you know a young person who is particularly good at solving math riddles or is quite intelligent you can also try challenging them with these difficult math riddles. Many require not just typical IQ intelligence, but even more so are for those who are able to think outside the box or maintain a sustained focus. They are also great for those who wish to improve their focus and ability to think outside the box. For more practice, see our collection of riddles for adults. Is there a math riddle that can beat you and your enormous brain? We shall see! How can you add eight 4s together so that the total adds up to 500? A huge bag of garlic bulbs weighs 294 lbs divided by 1/6th of its weight. How much does the bag of garlic weigh? Jennifer passed away at a very old age on her 26th birthday. How can this be? If 66 = 2, 999 = 3, 8=2, 0=1, 9696=4, 8123=2, 98=3 and 88=4, then what does 816982 equal? Six, each circle is equal to one. For example, 6 has one circle, 8 has two circles in it. If four men can build four tables in four hours, how many tables can eight men build in eight hours? Frank was born in 1932 and died in 1950, at the age of 74. How can this be? There are 2 ants in front of 2 other ants, 2 ants behind 2 ants and 2 ants next to 2 ants. How many total ants are there? What can you put between a 5 and a 6 so that the result is greater than a five, but less than a six? A bicycle rider is traveling south at 25 mph, a truck passes the bicyclist also traveling south at 40 mph. Simultaneously, the bicycle rider passes a jogger who is running in the same direction south at 5 mph. Which will move away from the bicyclist at a quicker pace, the car or the jogger? If you take my son’s age and multiply it by one and a half times his age you get 24. How old is my son? A woman was driving on the highway when she suddenly got a flat tire. She pulled over and removed the flat tire and was about to replace it with the spare when all four of the wheel nuts were blown by a huge gust of wind off the side of the road and down the cliff. There was no way the woman could get to them. She sat down perplexed and frustrated until a bicyclist passed by and pointed out that she had all the wheel nuts she needed. She applied the advice and safely drove away. What was the advice? Take one wheel nut off of the other 3 nuts and put it onto the spare so that each wheel had 3 nuts. Sunday, Melinda and Susan went to the cafe for a cup of tea. The total cost of the bill was $12 and was divided equally among the friends. Melinda paid $4 and Susan paid $4 as well. Who paid the remaining $4? Wow, you made it all the way down here? You may be enough of a genius to solve these extremely hard riddles. →Did you enjoy these tricky math riddles brain teasers and number riddles with answers? We sure hope you did. Feel free to add to the joy of others and multiply their brain cells by sharing these mathematics riddles with others.